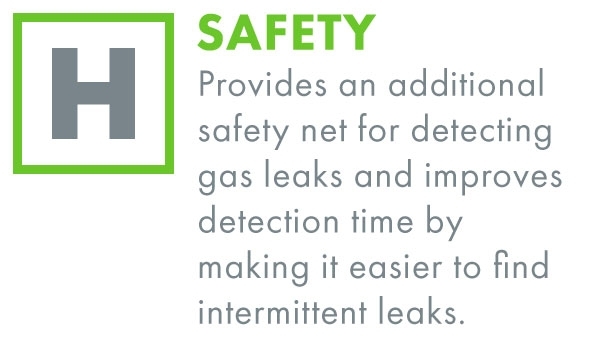 Nitto hydrogen detection tape makes it easier for operators to find intermittent leaks which helps minimize shut down time. Works in a wide temperature range allowing for use in both indoor and outdoor environments. 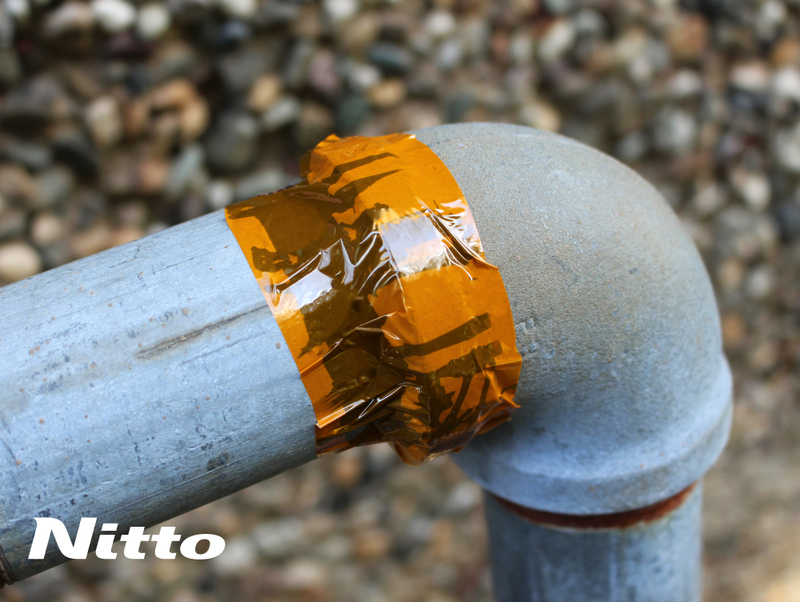 Nitto hydrogen detection tape changes color quickly when exposed to hydrogen and it will not return to its original color once hydrogen gas flow is stopped. 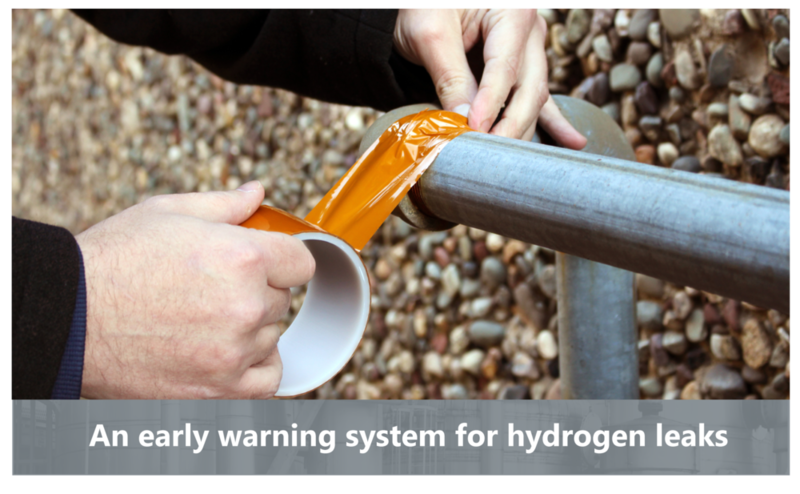 Nitto hydrogen detection tape visually changes color, from amber to black to rapidly detect hydrogen leaks. 1 Disclaimer: Dependent on the percentage of hydrogen emitted, environmental conditions, and application. This product is intended for use as a localized hydrogen gas indicator, and should be used as part of a comprehensive gas detection system.